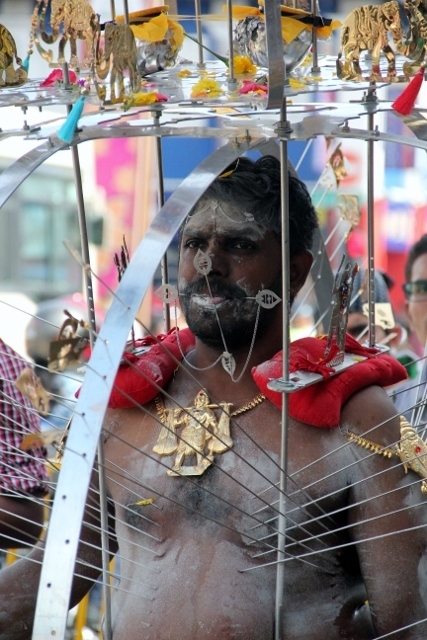 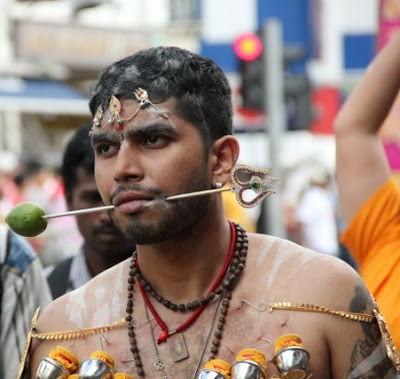 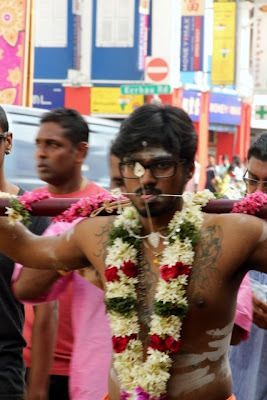 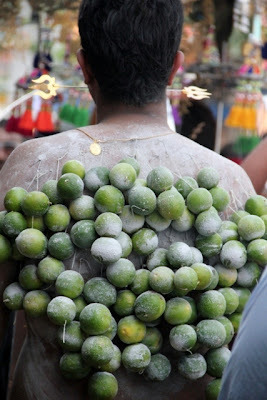 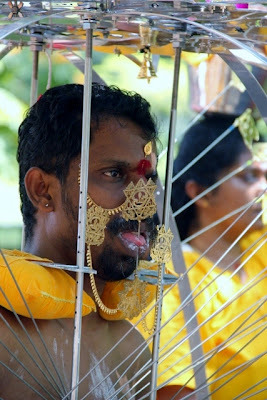 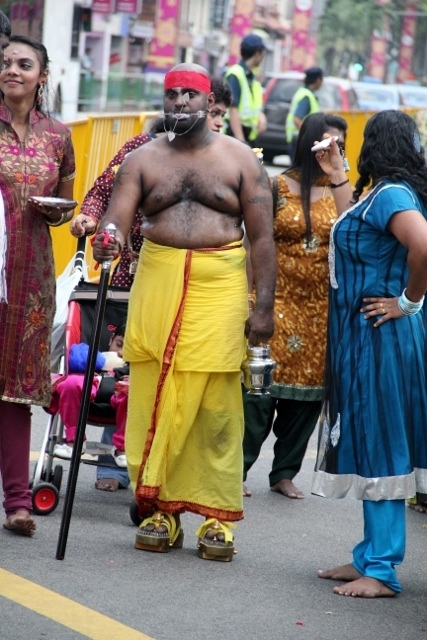 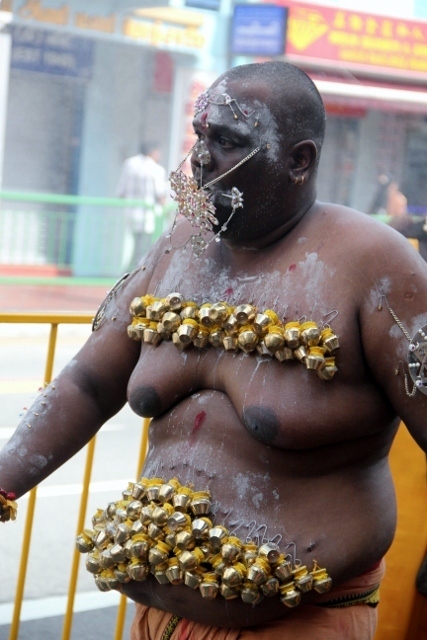 Thaipusam is the Hindu Festival celebrated on the day of full moon during Thai, the Tamil month of January/February, it is held annually in honour of the Hindu God Subramaniam (Lord Murugan). 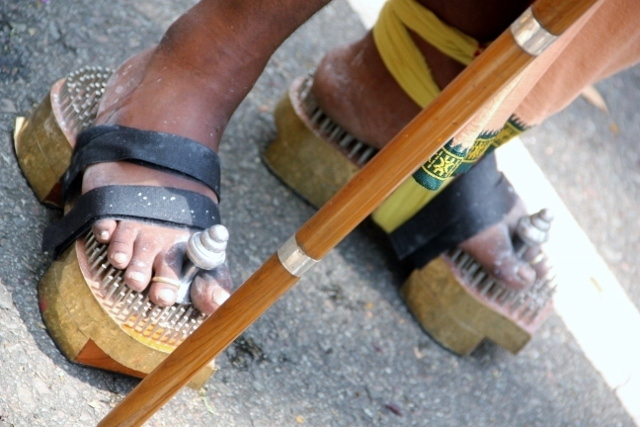 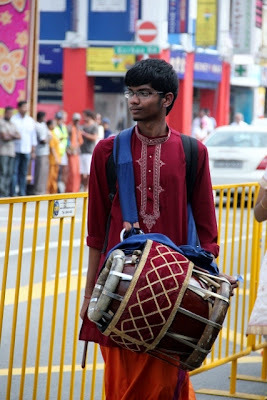 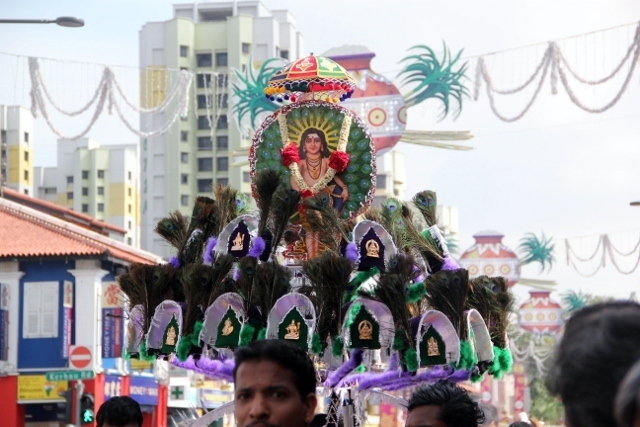 The devotees begin their 4.5km walk, carrying their kavadis (which in this Singapore humidity, can seem a very long one) from Sri Srinivasa Perumal temple on Serangoon Road in Little India and ends at the Chettiar Hindu temple on Tank Road. More about the festival and the temples can be found on their website. 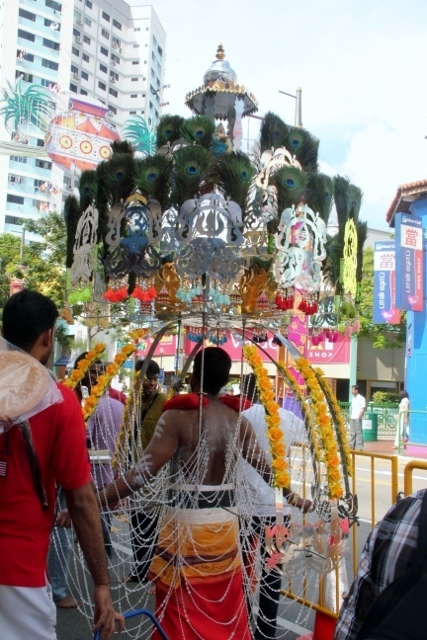 After a long and tiring 4.5km walk, the devotees proceed to the dismantling area. 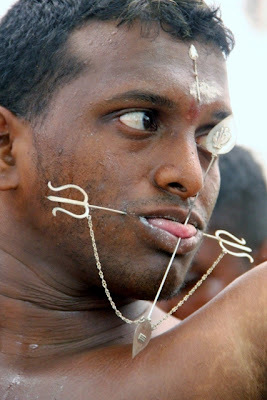 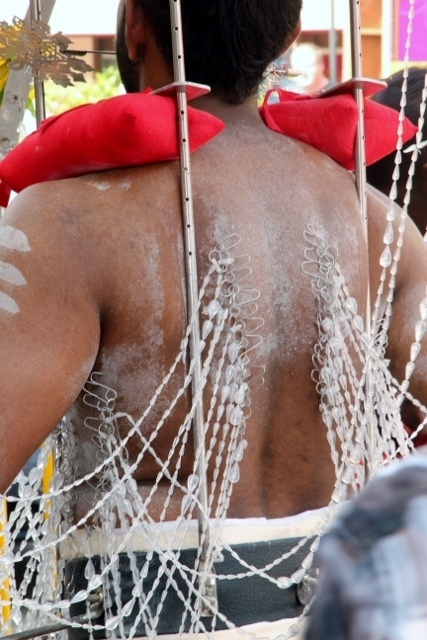 There was signs of relief on some of their faces as their kavadis were slowly removed. 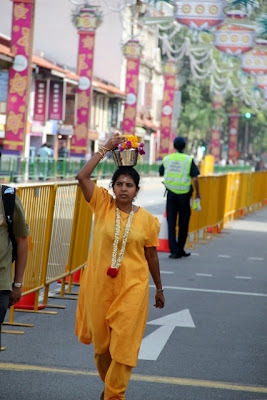 The amazing thing was, there was hardly a drop of blood in sight. 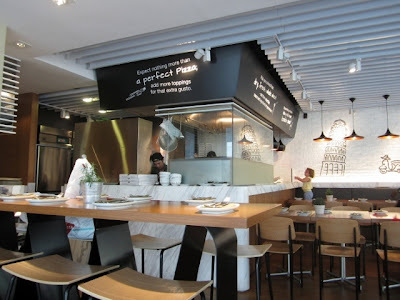 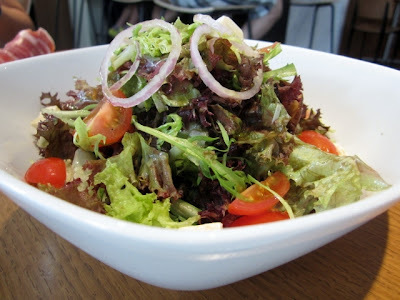 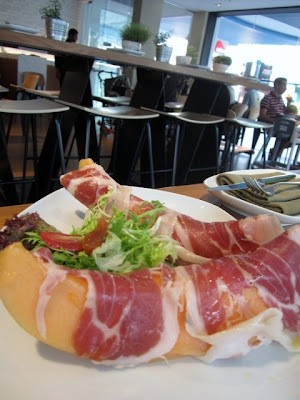 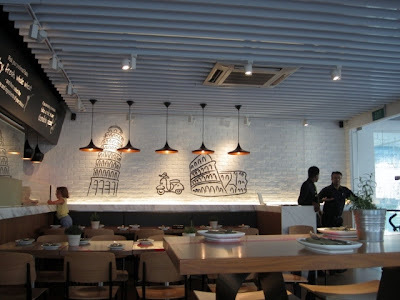 I decided to try this cafe, which is located on the first floor of the recently opened I12 Katong shopping mall on East Coast Road. 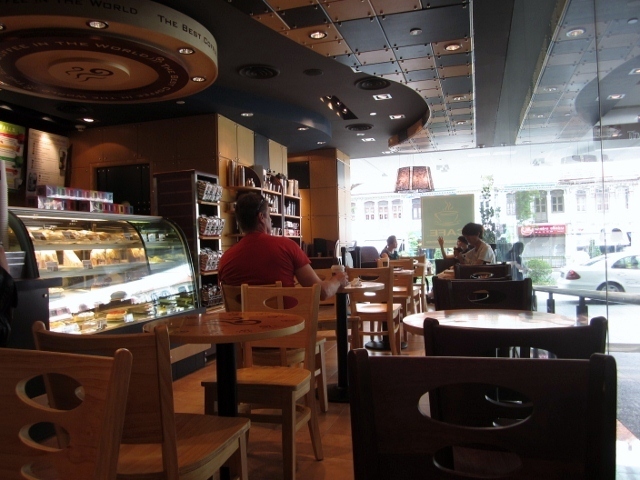 As you can see from the photo above, it has a familiar feel to it. It looks a lot like Starbucks, don't you think. The cafe is set out very similar to, even right down to the food cabinet, the merchandise they have for sale, and the sizes of drinks - yes they have tall, grande and large too. I ordered a cappuccino, and a chocolate donut. 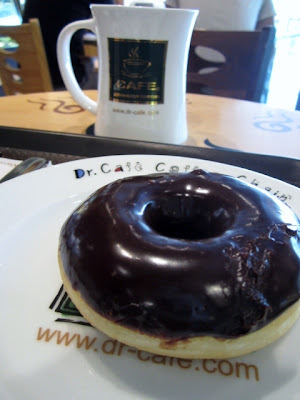 The chocolate donut was average, the chocolate was too rich, and the dough used wasn't light enough. 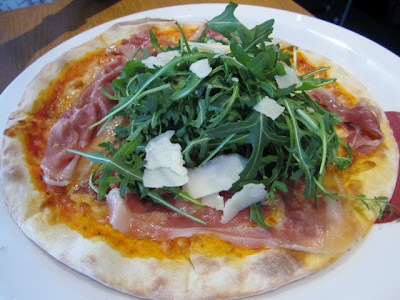 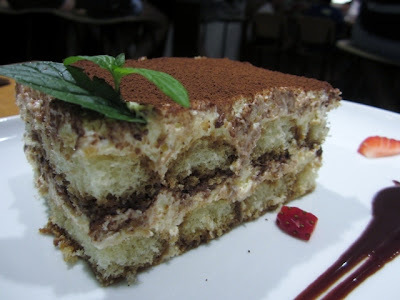 The cappuccino wasn't what I had expected, it lacked coffee (maybe I should've ordered it with 2 shots of coffee). 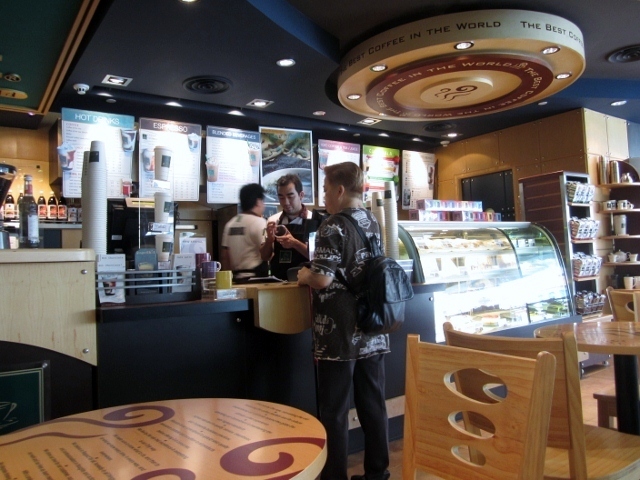 I will go back and give it another go, just the coffee though. 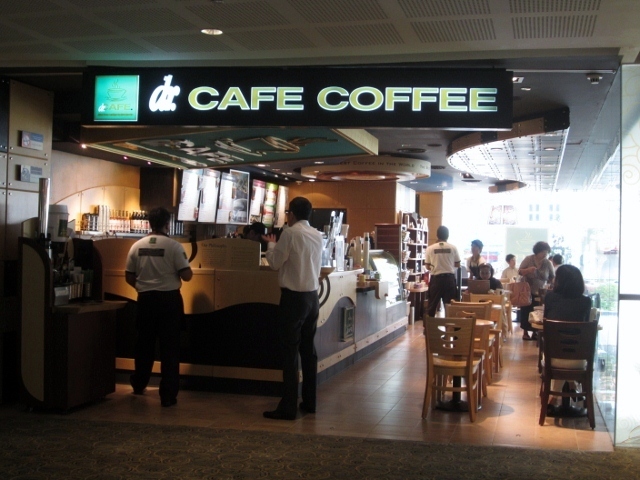 Oh, and they also have decaf, there's not many coffee shops in Singapore that do.